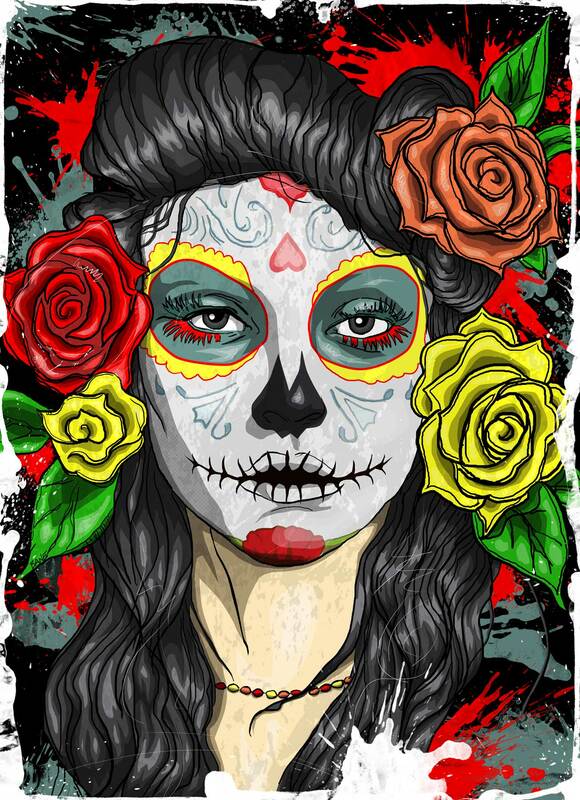 This is a painting that I was commissioned to do of a young lady celebrating the Day of the Dead Celebration by wearing this festive makeup and flowers in her hair. I combined three different reference photos because I could not find the right look for her. The color palette is bright and colorful in the foreground, but is dark in the back too match the mood and tone of that holiday.